Manufactured with a pressed steel outer casing. Automatic Arc-Force circuitry makes this unit suitable for arc welding a variety of rods including rutile, basic and stainless steel from Ø1.6mm to Ø4mm. 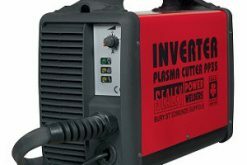 Fan cooled DC power supply for MIG welding, suitable to weld steel, stainless steel, copper, nickel, titanium and their alloys. 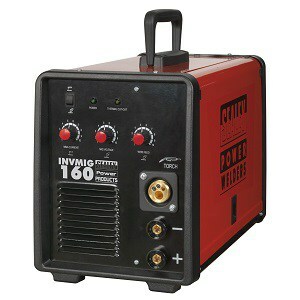 Includes rocker switch to allow operator to switch between MIG and arc welding modes. Thermal overload protection which automatically switches unit off when it exceeds maximum temperature. Fully functional front panel with self explanatory pictures for each dial and switch, making this easier and accessible to use. Current and voltage switches to allow control of current and voltage. Wire feed control used to control the speed of wire fed through the torch during welding. Burn back time control allows the operator to manually choose desired length of electrode wire which protrudes from torch after welding. 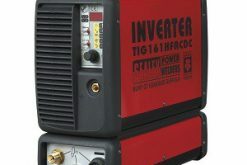 Polarity change terminals allow the operator to change polarity of welding torch depending on whether the applications are MIG welding or flux-cored welding. Includes 3mtr MIG torch, 2.5mtr earth cable, gas hose and regulator and 0.6/0.8mm contact tips.